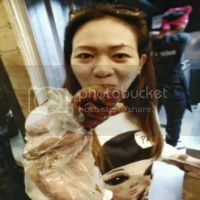 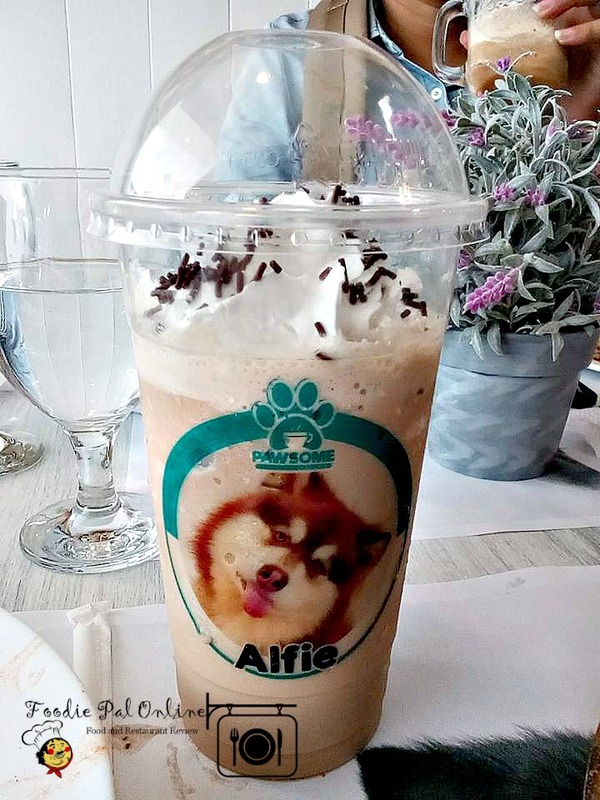 Over the past few years, several cafes have opened it stores with a concept of having a cat's and a dog's inside a cafe premises. 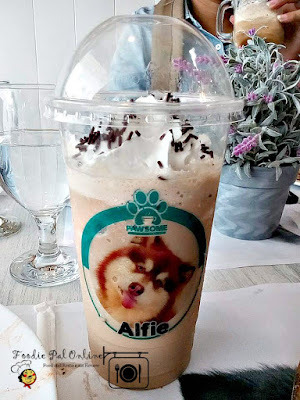 Here in Davao City, a first dog cafe let's you eat and drink and cuddle a residential dogs for your to experience (especially those who love dogs but doesn't owned one). 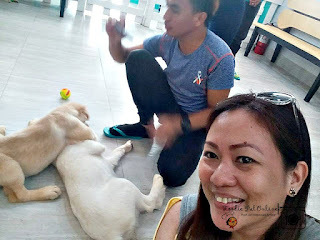 It was a privilege to be invited to attend a blessing and an opening of the City's first dog cafe located at Door 5 Autoville Bldg., F.Torres St. (near DAVCON). 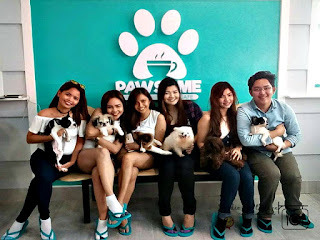 The owner Francie Marie Calderon and Cherry Maning did their research during their travels to different countries with a number of dog and cat cafe's, and made into a business plan to come out with this concept to put a cafe here in Davao City that concerns with dogs and help the other's to be informed how to love and play with furry friends! 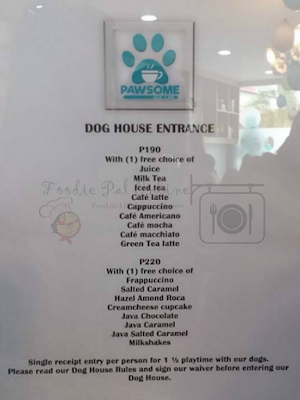 That's why - when the owners came to a realization - they decided to open Mindanao's first and only dog cafe. 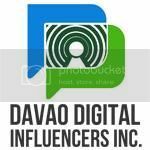 Team Davao Digital Influencers with their furry friends. 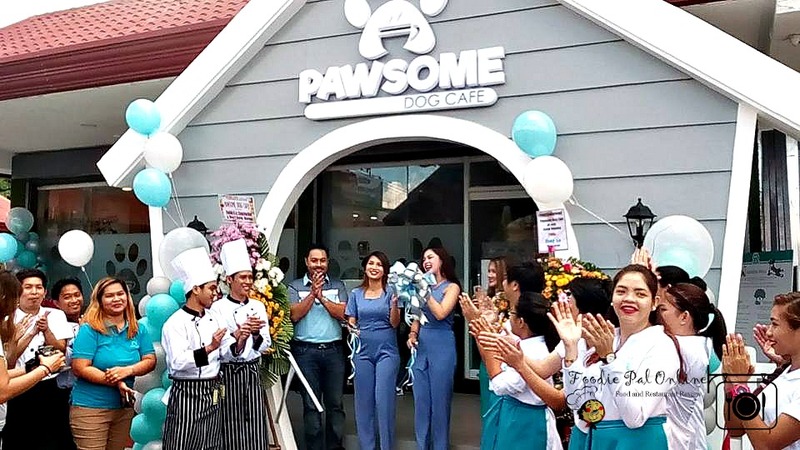 Since the first week of April, Pawsome Dog Cafe held a soft opening for invited guests only. 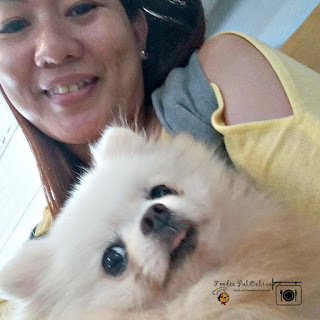 And visitors had the chance to enter at their leisure and have a good time chill with a group of residential dogs. 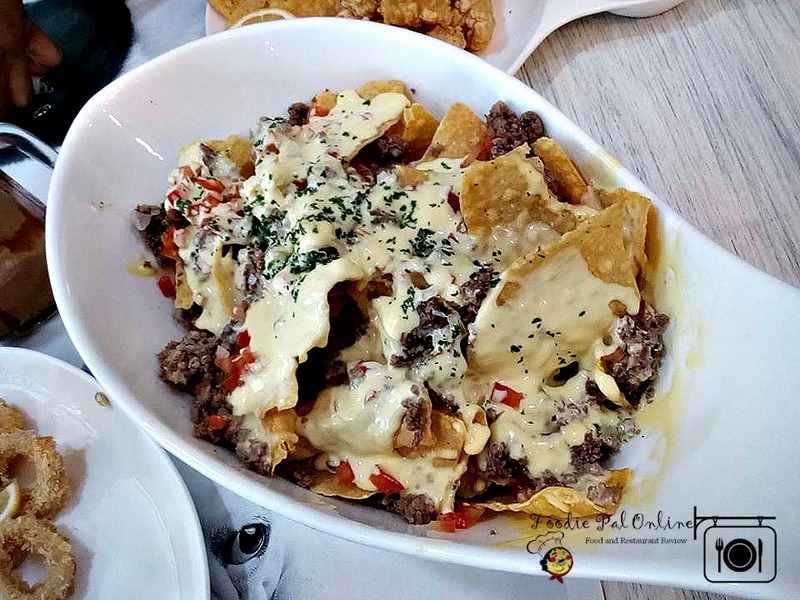 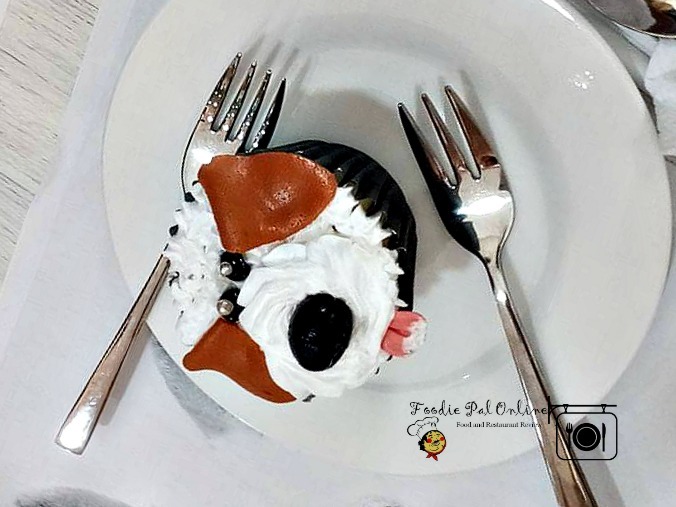 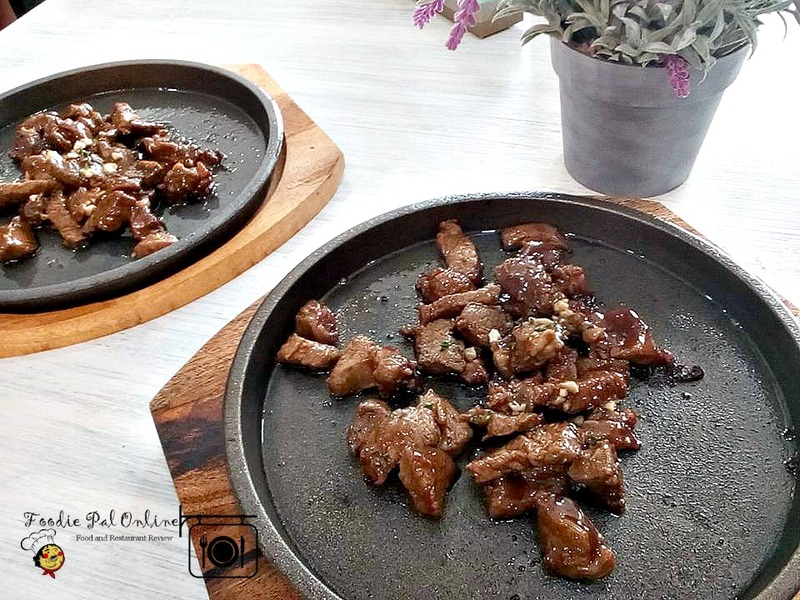 And during the Grand Opening invited guests from Davao Media,Bloggers/Influencers and Vloggers had the chance to experience and see the happier environment wherein you will see the dogs in their true light and at the same time enjoying the food and beverages. Hanging out with adorable dogs while eating their sumptuous food or avail their drinks and get to bond with their dogs at the DOG HOUSE. 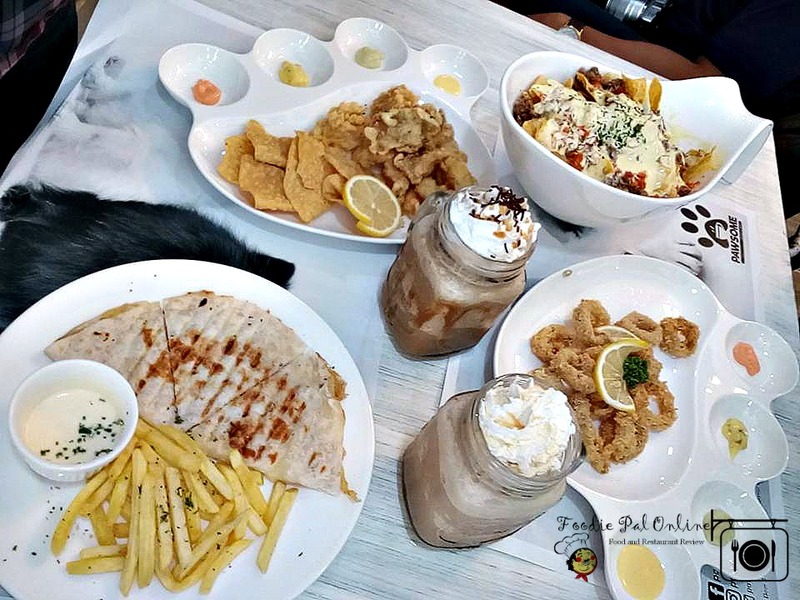 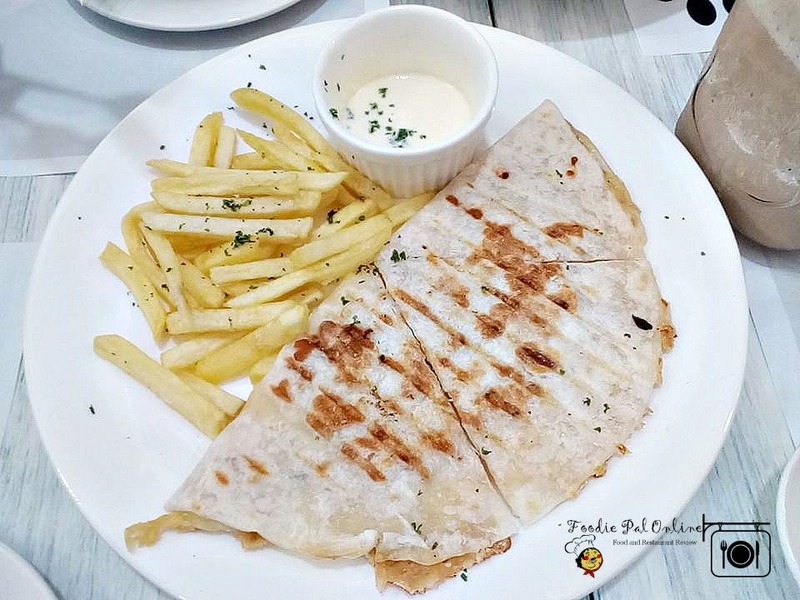 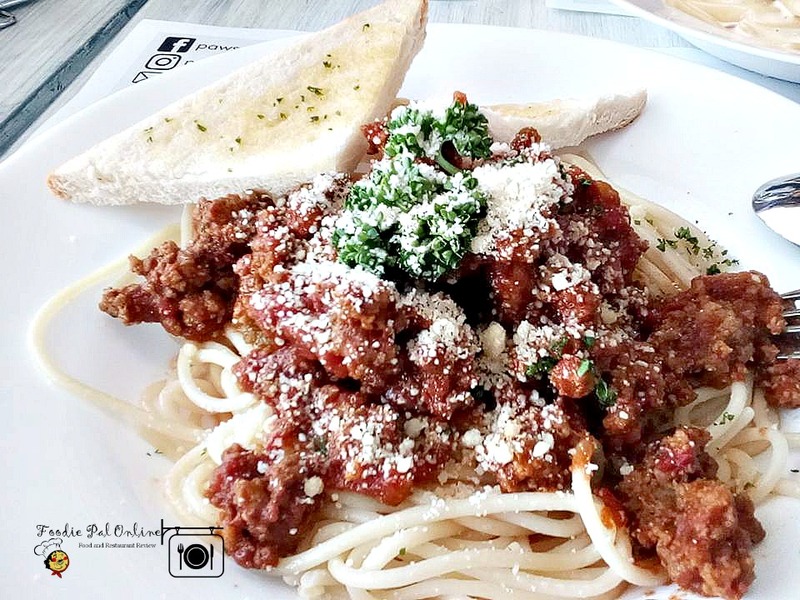 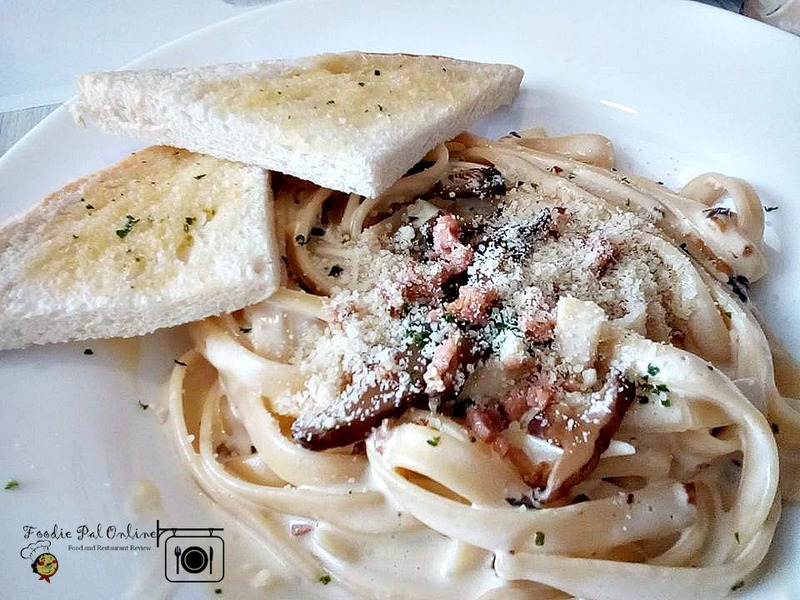 The experience was good, that's why I decided to go back and celebrate my 41st birthday together with my two tweens here at the Pawsome Dog Cafe. 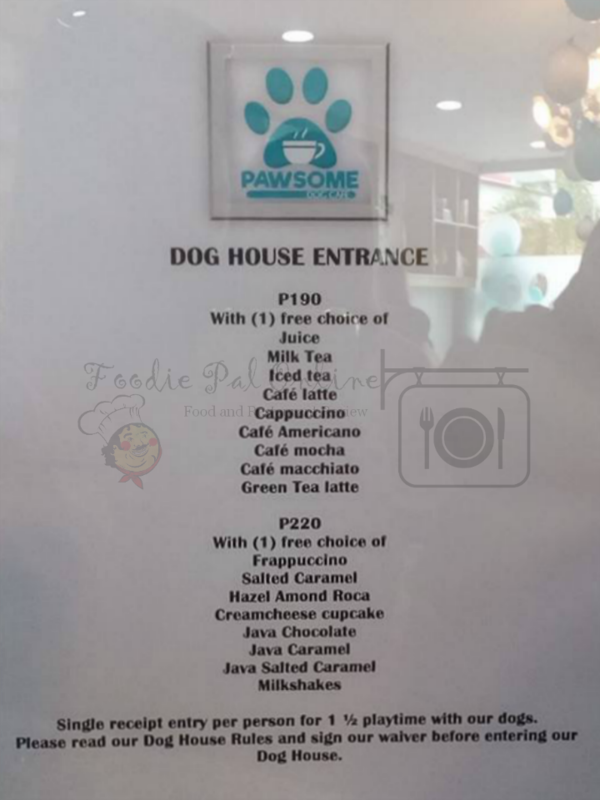 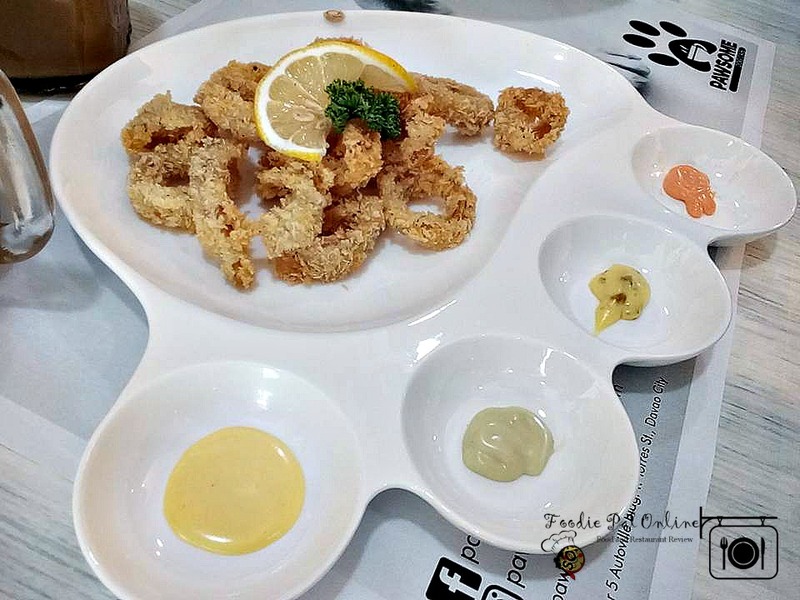 We were warmly accommodated when we arrived and I decided to go with the PHp190 drinks for a Dog House Entree where you'd get an hour and half playtime with their dogs (too bad, my daughters doesn't like to play with them). 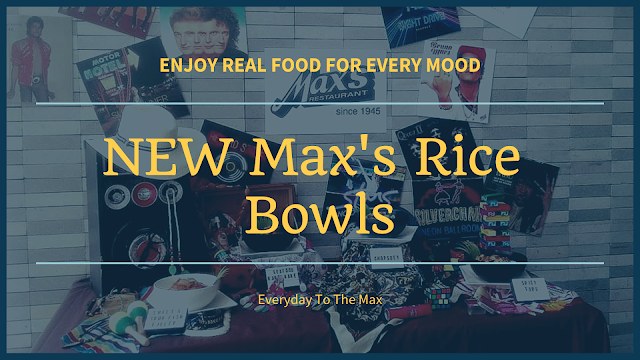 But what they enjoy is the food I choose for them. 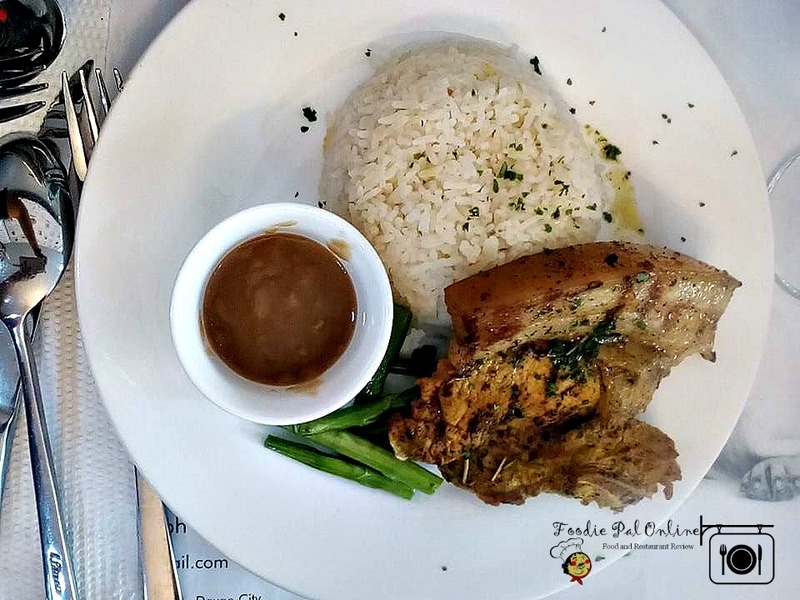 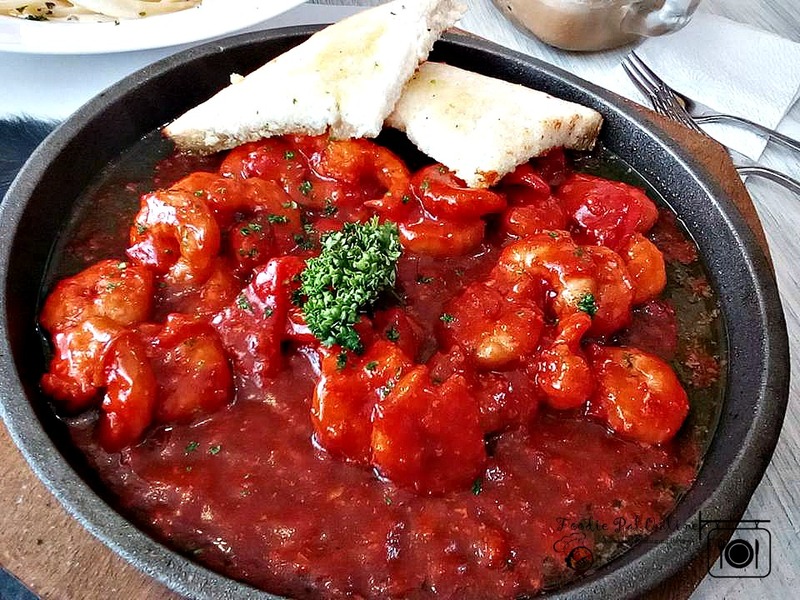 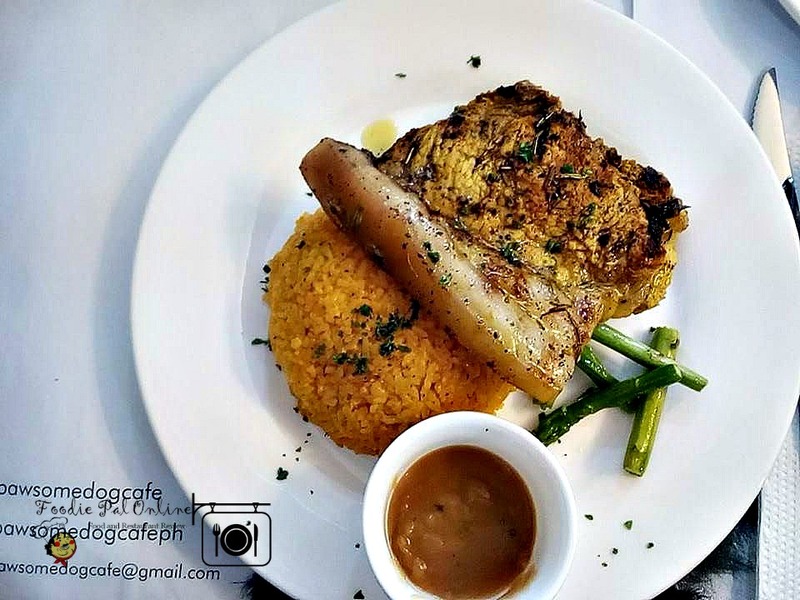 ***Main Course have one choice of garlic rice, plain rice, java rice, mashed potato or French fries. 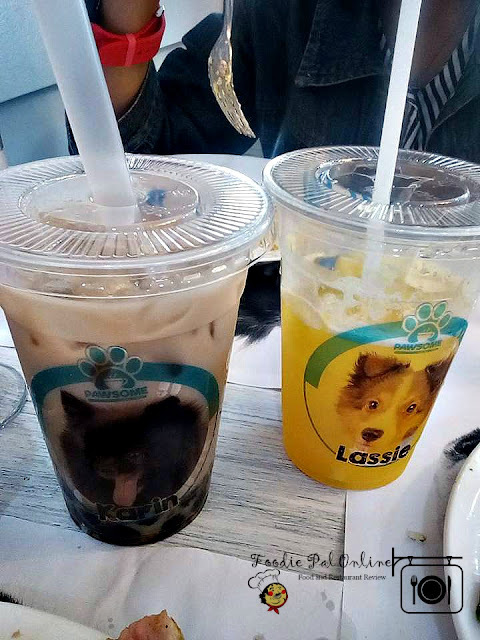 For their drinks they have Wintermelon Milk Tea and Orange Juice. 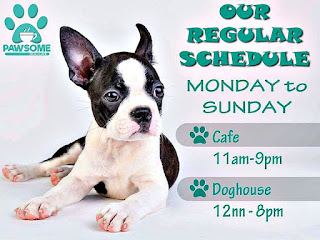 Pawsome Dog Cafe provides a venue of relaxation for guests who love dogs so much! 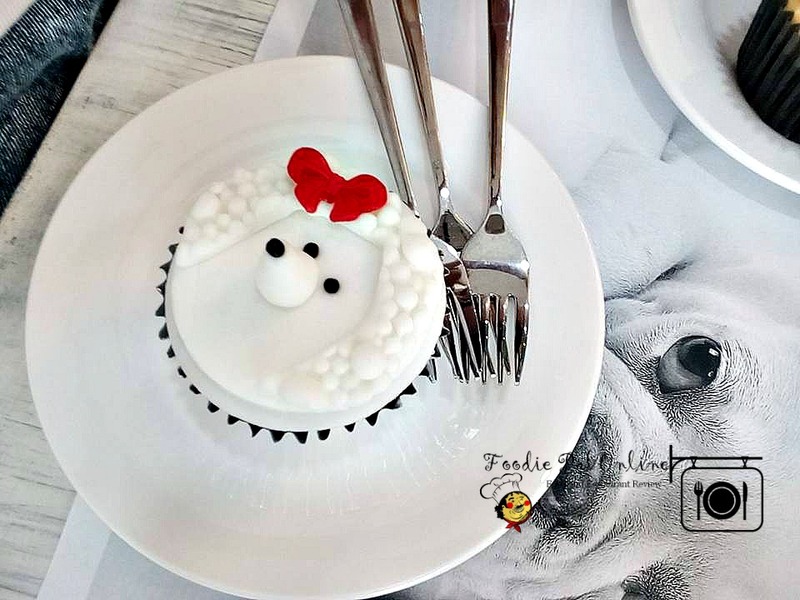 And a little bit of twist to a unique cafe experience. The Pawsome Dog Cafe residents dogs, providing them with utmost love and care. 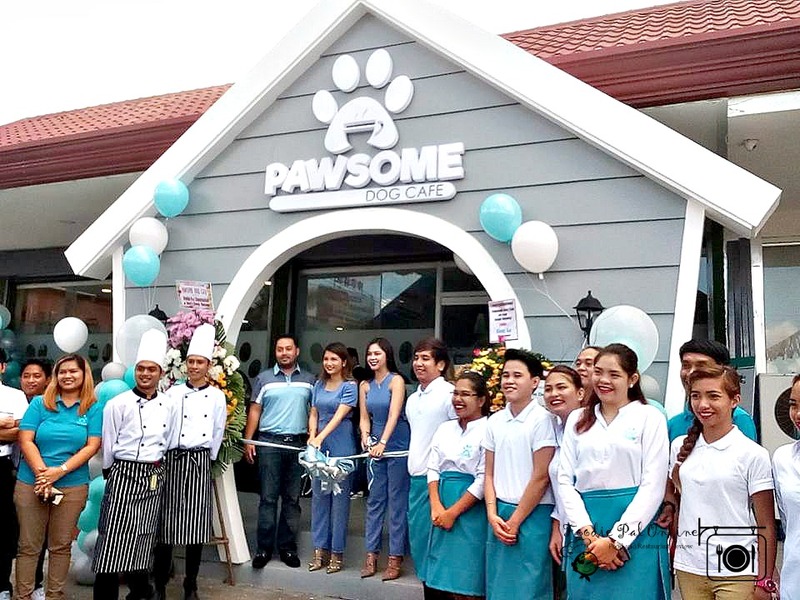 Visit Pawsome Dog Cafe now! 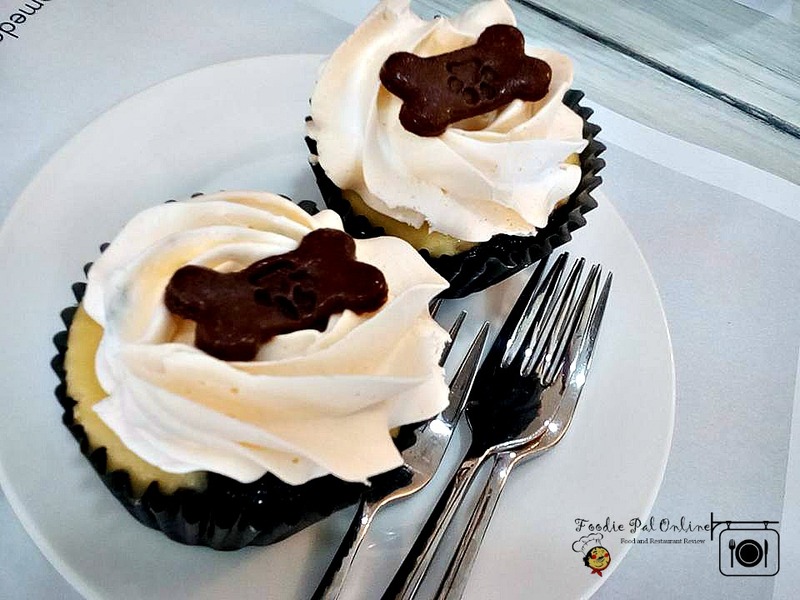 And finally Pawsome Dog Cafe offers PAWSOME PUPPY BIRTHDAY CAKE, a cream cheese liver cake for your furbaby's big day! 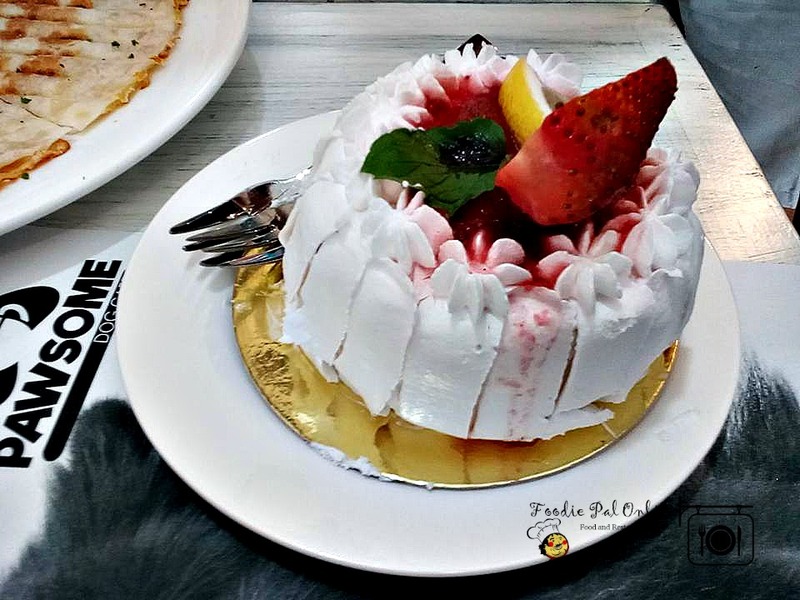 This cake is only PHp550. 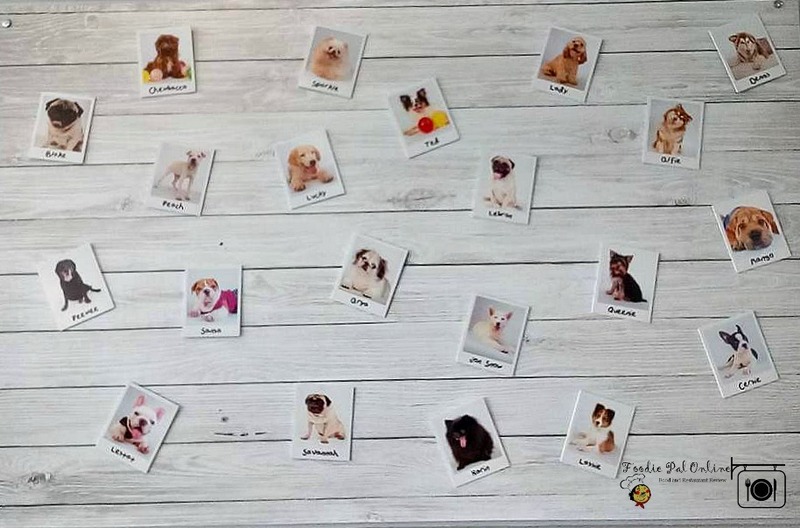 Accept pre-order only at least 2 days ahead and claim it at the Pawsome Dog Cafe.